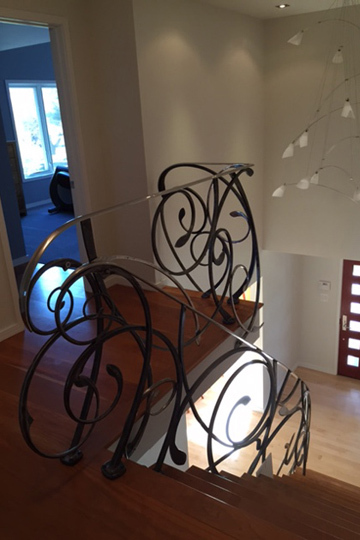 This abstract and flowing stair balustrade was commissioned by a customer in Washington DC who was attracted to the sweeping curvilinear designs featured in much of our work. 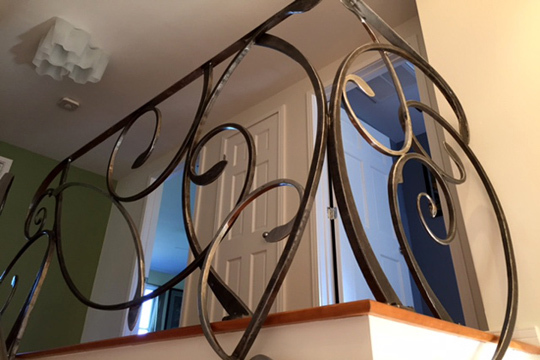 Although the design is contemporary, every inch of the balustrade was hammered to shape (forged) using traditional blacksmithing methods. 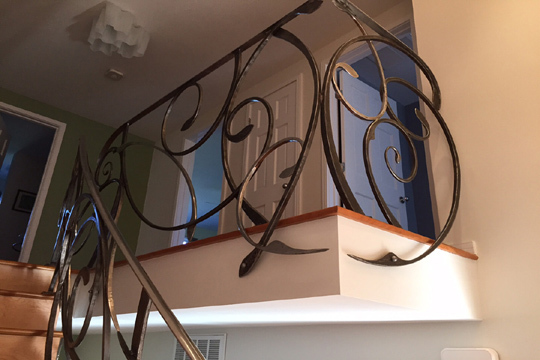 Most of the railings were made from steel which was burnished then finished with wax. This highlighted the texture of the forged metal giving it a mottled grey-black tone. 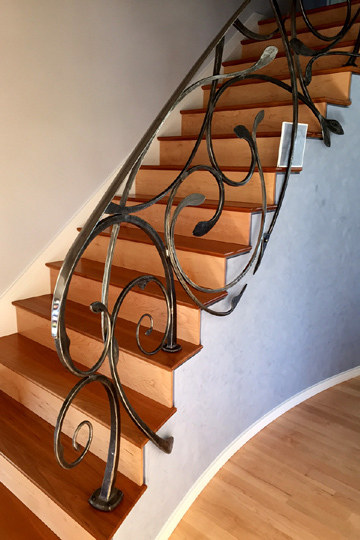 However, selected areas such as the handrail were made from forged stainless steel which was given a bright satin polish to act as a counterpoint to the darker steel. 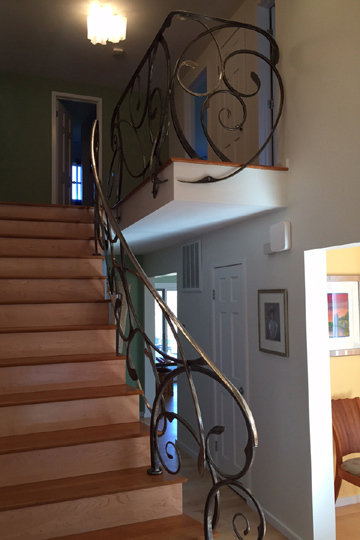 The balustrade was designed not to appear "bound" or constrained, hence the overlapping onto the sides of the stairs and balcony. Particular attention was also paid to ensure the design of the balcony and stair railings complemented each other at their intersection. 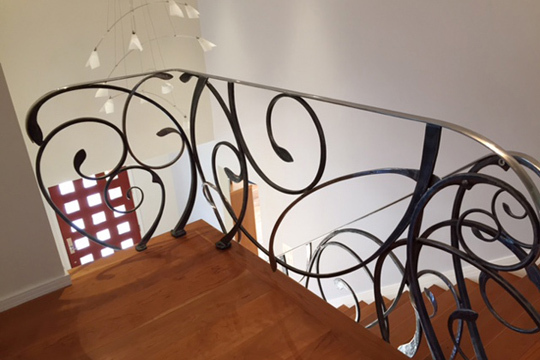 Some details of the construction of these balustrades can be seen in this page.